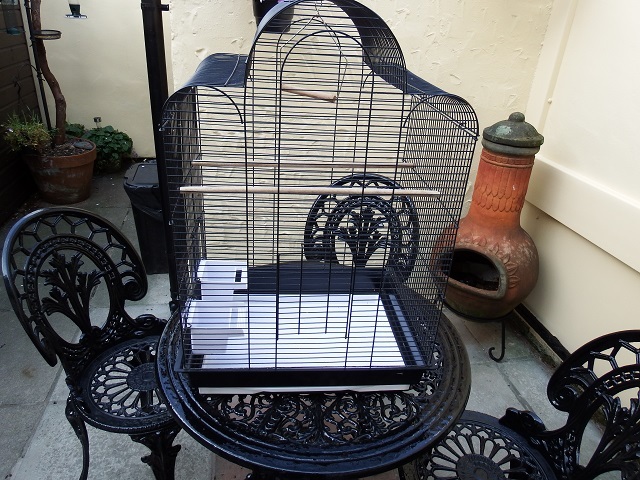 For Sale in great condition, Rainforest San Luis bird cage in black. H 27 inches - 690mm, width 18.5 inches - 470mm, depth 14 inches - 360mm. Ideal for a Cockatiel, 2 Budgies, 6 Finches, 1 small Parrot. 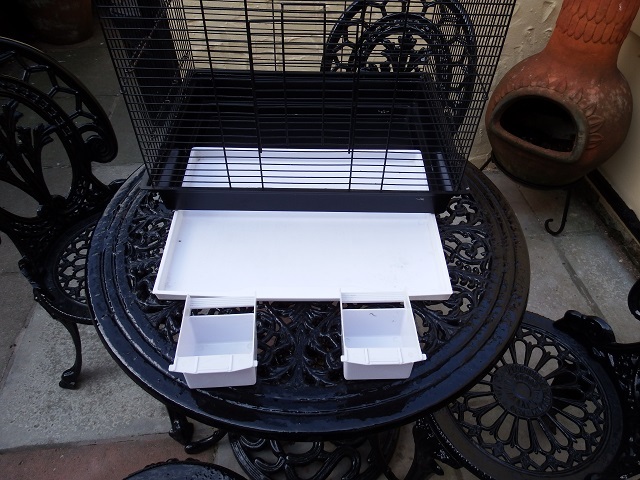 Swing, 2 pullout feeders, pull out tray & 2 wooden perches. Can hang or floor/table stand.